After presenting the best German bank accounts to you, it’s now time for the credit cards! As you might have noticed, some of the bank accounts from our previous blog post come with a debit and credit card. However in some cases you need to use the bank account actively (e.g. as your account for your monthly salary payments) in order to be able to use all features of the credit cards, such as free of charge cash withdrawals or no monthly fees. That’s why we’re presenting to you in this post the best credit cards in Germany that can be used independently from your bank account. See below for a comparison of the best credit card in Germany. As always: If you have problems with the application process or questions, please feel free to send us a message via the contact form or via WhatsApp. We will help you! Looking for a bank account in Germany? The Gebührenfrei Mastercard Gold is the perfect credit card if you’re looking for a card that doesn’t cost you a penny but comes with a lot of nice features. There are no monthly or annual fees and no foreign currency fees for non-Euro payments. Cash withdrawals are free of charge, however interest rates apply from the day on you have withdrawn cash (1.49% per month). But if you are using the Gebührenfrei Mastercard Gold mainly for paying and not for cash withdrawals this card is a good choice. Another drawback is the fact that you will have to pay your monthly credit card bill manually, i.e. there’s no automatic deduction of from your bank account. Get your Gebührenfrei Mastercard Gold! As described in the article about the Santander 1 Plus Visa Card, this is the perfect card for travelling. There are no monthly or annual fees, cash withdrawals are free of charge and even ATM-fees are refunded by Santander Bank. In addition you get a 1% discount on fuel. Definitely a good choice if you are looking for a credit card in Germany! Cash withdrawal free of charge – even ATM fees are refunded! Get your free Santander credit card! The payVIP Mastercard Gold has won several credit card awards and is very similar to the Gebührenfrei Mastercard Gold. There are also no annual card fees and no foreign currency fees for non-Euro payments. Cash withdrawals are also free of charge (however interest rates of 1.73% per month apply). 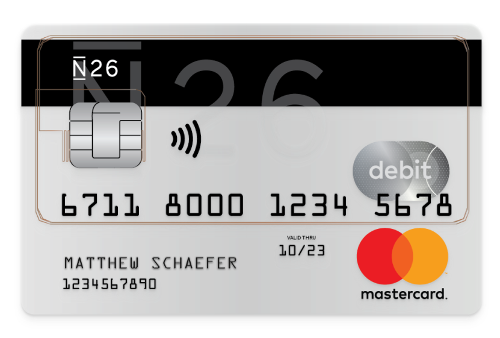 Similarly to the Gebührenfrei Mastercard you will have to pay your monthly credit card bill manually, i.e. there’s no automatic deduction of from your bank account. Get your payVIP Mastercard Gold! So now it’s up to you… Get the best credit card in Germany! If you have problems applying for a credit card or if you simply have questions, please send us a message via the contact form or via Whatsapp. We will help you!